We at P.T SMEP value the importance on producing quality goods as well as reliability of the supply. Therefore we have adopted a holistic approach from the sourcing of raw materials right up to the manufacturing of the product in order to achieve total customer satisfaction. 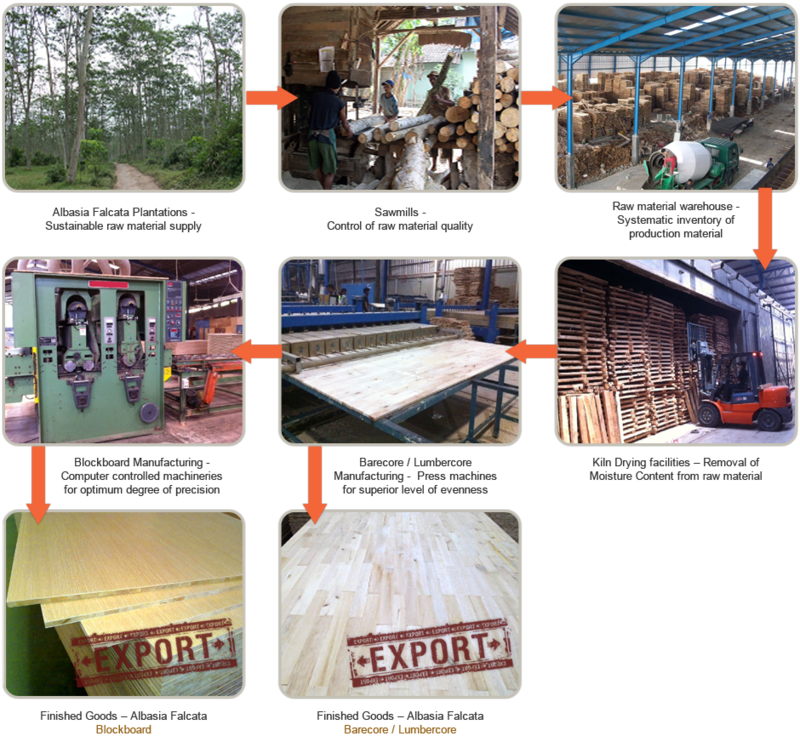 The following chart explains the Manufacturing Flow of our Albasia Falcata Barecore/Lumbercore and Blockboard products.